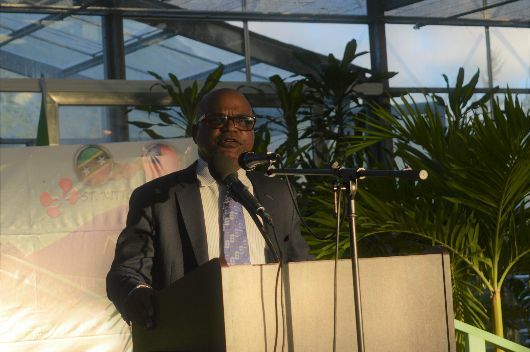 Basseterre, St. Kitts, February 01, 2019 (SKNIS): For eight years, the St. Kitts Eco-park, also known as the Agro-Tourism Demonstration Farm Co-Op, under the management of the Republic of China (Taiwan), has shown just how sustainable agro-tourism is. St. Kitts and Nevis can now boast full ownership of the viable site as it was officially handed over to the government on Thursday, January 24, 2019. “This is indeed a proud moment, a significant moment for all of us as beneficiaries, and for the donor, and for the people and the Governments of the Republic of China (Taiwan) and also for the people of the Federation of St. Kitts and Nevis,” said Minister Grant, adding that this is indicative of the longstanding relationship between both governments. “This facility here, this wonderful edifice, is yet another tangible and public demonstration of the high importance of the trust, of the confidence that they continue to repose in the Government and people of St. Kitts and Nevis,” he said. The minister expressed the government’s heartfelt thanks to the Resident Ambassador of the Republic of China (Taiwan) to St. Kitts and Nevis, His Excellency Tom Lee and his team and the people of the Republic of China on Taiwan and all those persons who contributed not only to the Eco-park, but to the over 30 years of friendship.